Fans of the Première Moisson bakery have the option of going to the recently launched location on the street level of New Residence Hall on Park Avenue. 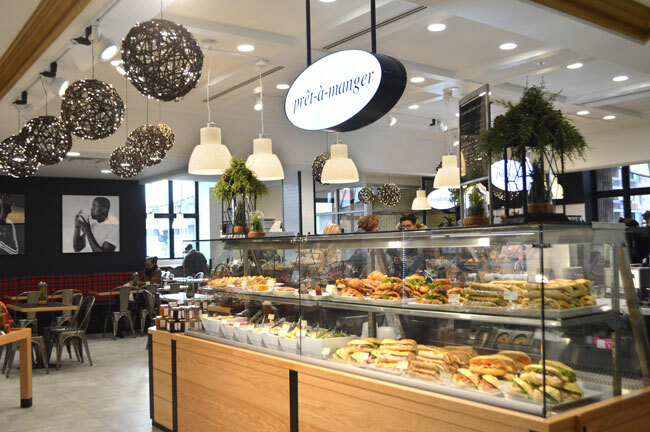 Since opening its doors in the Redpath building last September, Première Moisson has been serving the McGill community an impressive assortment of pastries, sandwiches and cakes as well as gourmet coffees, soups and full meals. And now fans of the bakery have the option of going to the recently launched location on the street level of New Residence Hall on Park Avenue. This time, people will find a built-in store, where they can purchase the brand’s signature jams, sweets, sauces, and takeout salads and meals. On Dec. 1, Student Housing and Hospitality Services put together a launch event, where guests were able to sample Première Moisson pastries, coffees, and even got to take home a free baguette. There was also a raffle that took place, giving people the chance to win a beautiful holiday basket. SHHS Senior Director Mathieu Laperle and VP of Première Moisson’s Retail Division Josée Fiset said few words at the event. “We’re so happy to have this new location in New Residence Hall. 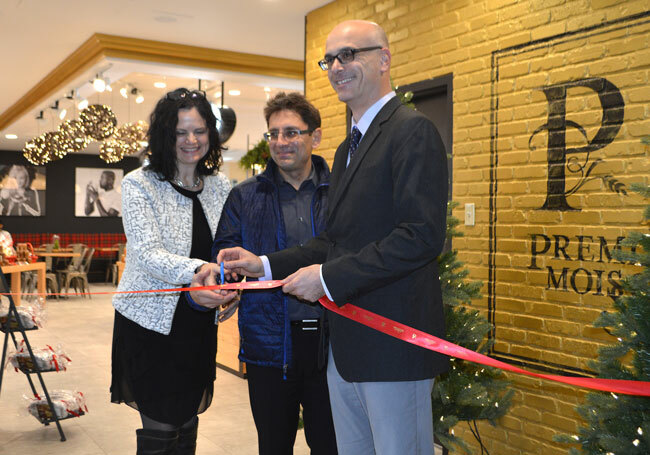 This opening is in line with our vision of working closely with our food providers and supporting Montreal businesses as well as local food and flavors,” said Laperle. It’s important to note that thanks to its prime location on Park Avenue, the bakery will service not only McGillians but all the people living in the surrounding area. McGill students can use oneCard, the Saver Meal Plan, or the Residential Meal Plan as methods of payment. NRH residents have the added bonus of being able to go downstairs for a treat without having to step outside! The holiday season is an especially great time to visit; people willl find holiday packages, premium chocolates and a wide selection of seasonal gifts. Even better, it’s open throughout the holiday season. View the new Première Moisson’s Hours of Service. Did you know that this this Premier moisson throws out all of its bakegoods at the end of the day? They refuse to give them to a charity and would not even let me buy the products so that I cculd give them away! The staff threw out the perfectly good and nurishing bread right in front of me. II was told that it was McGill’s policy to not allow any donations to charities. I am boycotting this outlet and encourage anyone with any decency to do the same until McGill changes this shamefull waistful and heartless policy!